USA Insulation franchise opportunities in Harrisburg, Pennsylvania! Pennsylvania’s travel tagline famously says, “Pursue your happiness” and you can, by pursuing business ownership with an insulation franchise in Harrisburg! If you’re unsure about buying a business in Harrisburg, we have some pretty convincing reasons why you should! Home to an emerging tech industry, Harrisburg’s economy continues to grow creating a thriving community to join! Ranked as the 3rd Pennsylvania city in 2015’s Best Places for Business and Careers, owning an insulation franchise is the obvious choice to make in Harrisburg. Looking for more info on the USA Insulation franchise opportunity in Harrisburg? Complete the form below. 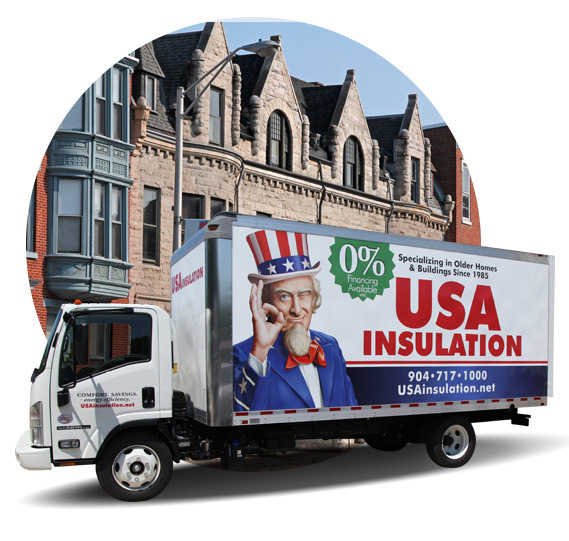 Why should you open a USA Insulation franchise in Harrisburg? A sign of a great franchise opportunity is one that can thrive in any market. With USA Insulation, any market with homes is a market that is in need of insulation, period. This is especially true for homes that were built prior to 1980 when standards for insulation were not included in building codes as they are today. And for homes that were insulated after 1980, the insulation materials normally used don’t compare to USA Insulation’s proprietary technology—meaning those homes will eventually need to be insulated again. And as a USA Insulation franchisee, you can capitalize on that need in Harrisburg and surrounding areas.